It’s not just you; it really does. Turns out there’s a chemical called pyrazine that naturally occurs in both cat pee and the two Sauvignon grape varietals, which gives off a sulfurous, grassy scent. Thankfully, pryazine cannot be tasted (though smell does, of course, contribute to perceived flavor). This aroma is actually part of what is known as the “fingerprint” of Sauvignon Blanc, meaning aromas or flavors that are always present and which help us identify this grape in a blind tasting. All wines smell like fruit of some kind, but these fingerprints enable us to differentiate certain varietals. I probably could have made this fact part of #1 (because gamey meat is the fingerprint of Syrah/Shiraz), but come on, it’s bacon! This had to be its own fact. That’s a direct quote from Keith Wallace, director of The Wine School. He was making the point that Chardonnay, when left on its own, has a relatively inert flavor, which is why it is so often heavily oaked (imparting a vanilla and warm-spice flavor, not a wood flavor), and put through malolactic fermentation, a process that creates the buttery flavor that is also oft-associated with Chardonnay. When this varietal does not go through these processes, it can show hints of tropical fruit, but it tends to be relatively bland (see: Chablis). Still, some people prefer it that way, and there’s certainly nothing wrong with that! …because winemakers add it to anything that doesn’t taste good to make it taste better. MegaPurple is a somewhat controversial wine additive that stabilizes color and body, but right now there is no requirement to tell consumers of its use. But that controversy is for another article. The point here is that we have to rely on taste to judge a wine. Color, for one example, is not indicative of how a wine tastes. Sure, a well-made Burgundy is typically going to be lighter in color and also lighter and more delicate in flavor than a Bordeaux, but Barolo is an example of a full-bodied wine that may look quite light. The problem is that color can easily be faked, and thus cannot be relied upon to make judgments. As Wallace put it, if you plant a grape vine in soil laced with Twinkies, the wine will not taste like Twinkies. Grapes don’t actually develop flavor from the soil. Terroir, however, a French word used to describe the unique characteristics that the geographic location of vines brings to a wine, can be more accurately used to describe the characteristics of the place where the fruit was planted, such as the amount of sunshine and rain, which does play a huge factor in how wines taste (and explains why certain estates in Bordeaux are worth so much more than others). The use of terroir as a descriptor can be confusing because many wines (especially European ones) are made in a way that accentuates earthy and sometimes even funky flavors — one of Pinot Noir’s fingerprints is “barnyard”, a wine lover’s word for manure, for example — but this is more of a byproduct of winemaking technique than of the soil in which the grapes were grown. Hopefully people live a little closer than that to the store. The good news that, according to Wallace, 99.9% of wines aren’t meant to be aged. While that may be an exaggeration, his explanation makes a lot of sense. He compared aging wine to two people playing catch. For every step the two people take away from each other, the chances of an errant throw increase. Wine is the same. For every year you keep it, the chances that something will have gone wrong inside the bottle increase. That said, the best way to age wine is to buy at least 6 bottles, and drink one every year or two, carefully noting the differences. If it gets to a place where you think it is great, drink up! 9) “Studying” wine is fun! …especially when you are doing it in the middle of the afternoon (as we did in the accelerated class that I took). If they served this much booze in college, I, er, well, nevermind. The next Foundations of Wine program begins October 6th and runs Thursdays through December 8th from 7:30-9:30pm. Tuition is $595. Too much of a commitment for you? 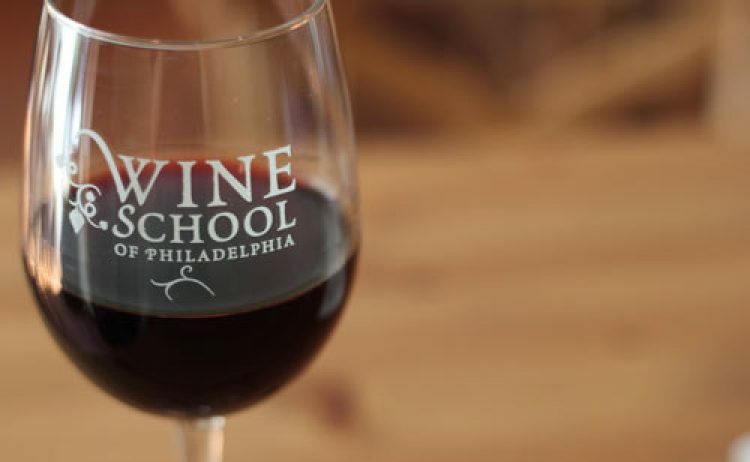 The Wine School offers many one-time classes aimed at the more casual consumer, including introductory classes, food & wine pairing classes, and classes for the seasoned wine lover.